SDS/2 played a pivotal role in the success of the 54-story, 1.2-million-square-foot 150 N. Riverside project, a new high rise located on the edge of the Chicago River in downtown Chicago, Illinois. Zalk Josephs Fabricators was the fabricator on the project. As detailed in the March/April 2016 issue of Informed Infrastructure, Zalk Josephs coordinated closely with Magnusson Klemencic Associates (MKA) on the project. 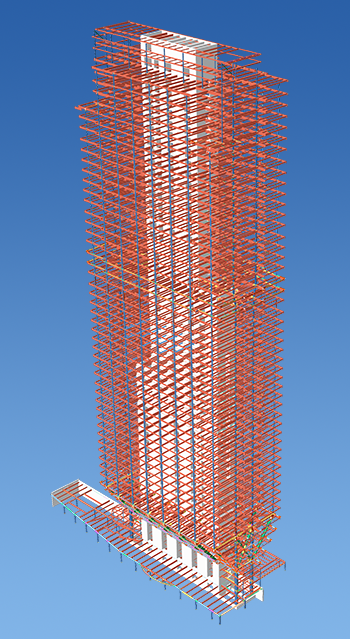 Using MKA-provided Revit models and 2D CAD drawings as a reference, the Zalk Josephs team modeled the entire steel structure into SDS/2. The resulting fabrication models were shared with Chicago Steel LLC — the project's steel erector — throughout the process to ensure constructability. Using SDS/2 Viewer, the erector could review and comment on the planned fabrication. Zalk Josephs used SDS/2 and feedback from the erector to optimize the weight of each piece to match the lift capacity of the crane. The company also fed its SDS/2 models directly into its Ficep Corp's CNC machine for fabrication. To find out more about the challenges in this unique, complex project — which features the first use of Grade 70 steel as well as the largest rolled-steel sections used for building construction in the U.S. — and the importance of SDS/2, read Tower of Power in Informed Infrastructure. 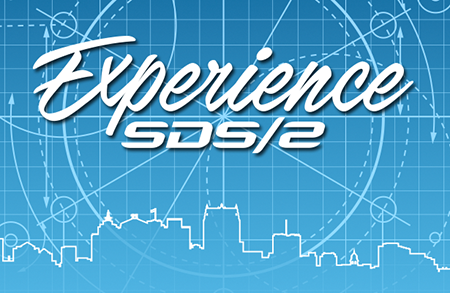 4:30 p.m. - 5:00 p.m.: Experience SDS/2 for yourself. Bring your IFC files and find out how SDS/2 can change how you work. Seminars will be held May 4 in Detroit, Michigan; June 15 in Baltimore, Maryland; July 12 in Minneapolis, Minnesota; and August 23 in Houston, Texas. For the past 15 years, Design Data has been conducting new release seminars to give users productive insights into new and improved features. Once again, we are hosting live seminars around the country to introduce users to SDS/2 2016. The SDS/2 2016 seminars are open to anyone who wants to learn more about the software. The cost for the one-day seminar is $25 per person for the first five attendees for each company (there is no charge for additional attendees beyond the first five). When and Where Are the Seminars? The seminars take place beginning in May and are scheduled through June. For the complete seminar schedule, click here. Please note the recent addition of a Nashville seminar. The wide-ranging depth of SDS/2 may mean some users are not using the software to its full potential. These seminars will show users new features, and new ways to increase productivity with SDS/2. 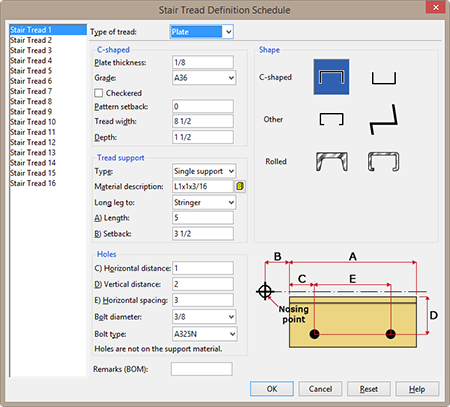 Design Data will host two New/2 2016 support webinars in May: Stair Enhancements on May 4; and Varying Hole Spacing and Column and Joist Connection Enhancements on May 18. Both webinars will take place at 10:30 a.m. CST. To learn more about online training, including training dates and the course schedule, click here. Please note that you must have a login to access this page. If you don't have a login, contact your support representative.